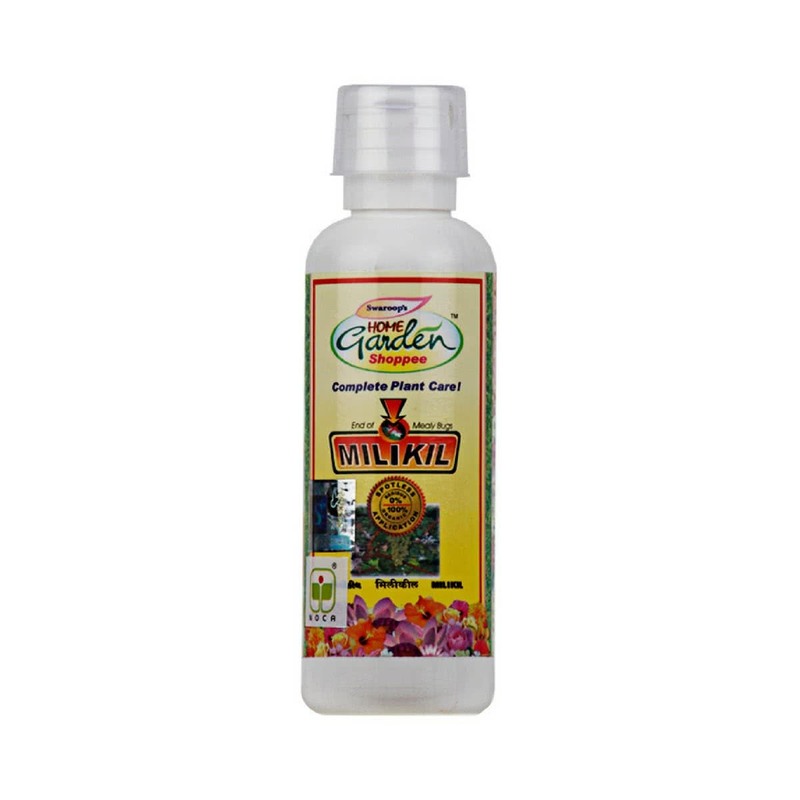 Milikil is a highly concentrated organic researched formulation for effective control of mealy bugs on Hibiscus, Fern and Horticulture plants such as Grapes, Pomegranates, Custard Apple, Guava, and Vegetables etc. Dosage : Mix 1 ml Milikil per litre water. Preventive Spray : Spray Milikil covering entire plant body as soon as Mealy Bugs are spotted & repeat spray after 6-7 days. Curative Spray : Spray Infected plant & repeat spray after 2-3 days. Do not mix any other pesticide with Milikil spray except Plant Shampoo (Insecticidal Soap) 3-4 ml per litre water for increasing efficiency of Milkil.